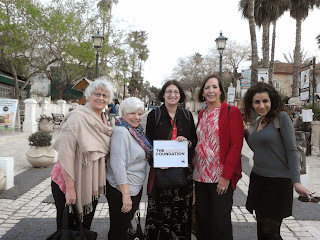 Today we met with Ronit Piso (pictured above, far right), the coordinator for Shutafot, an organization that coordinates certain advocacy efforts for eight leading Israeli feminist organizations, including several current and former Foundation grantees. Their latest initiative: to raise concerns about the current (and future) retirement income crisis for many Israeli women. The Hadassah Foundation Takes on Los Angeles!